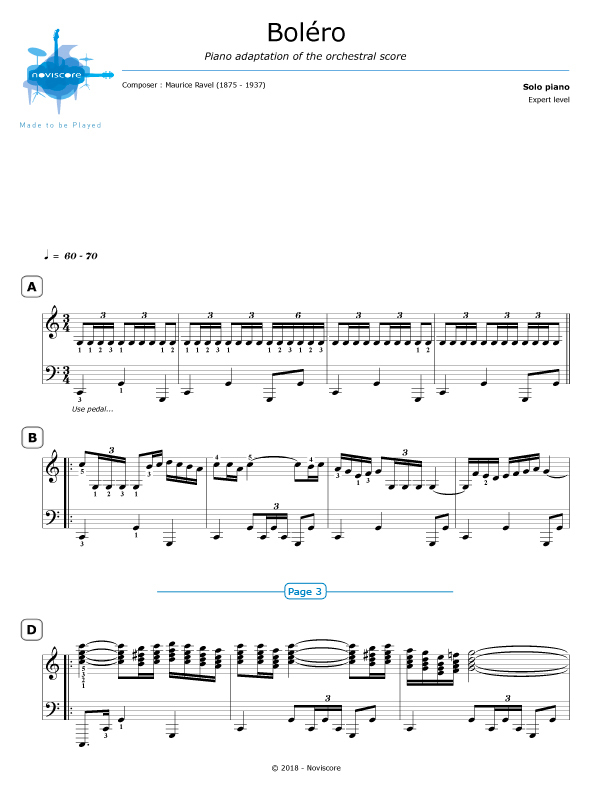 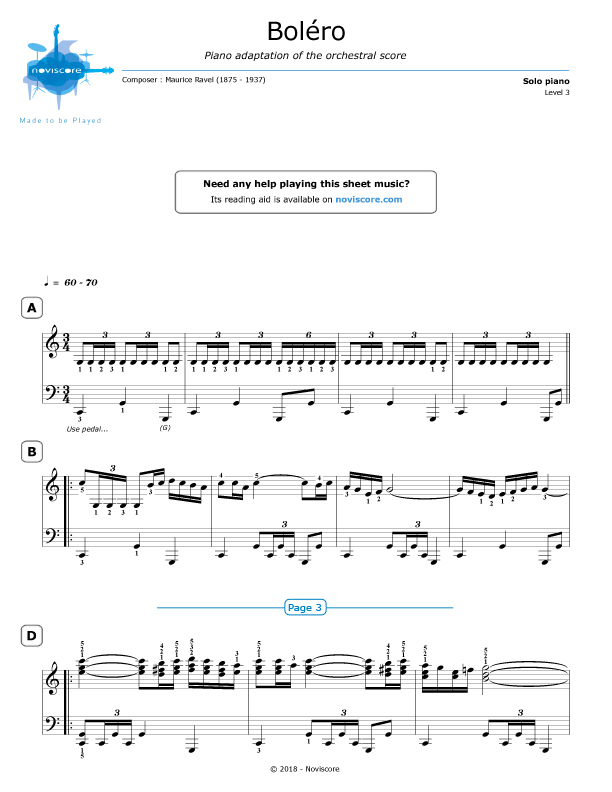 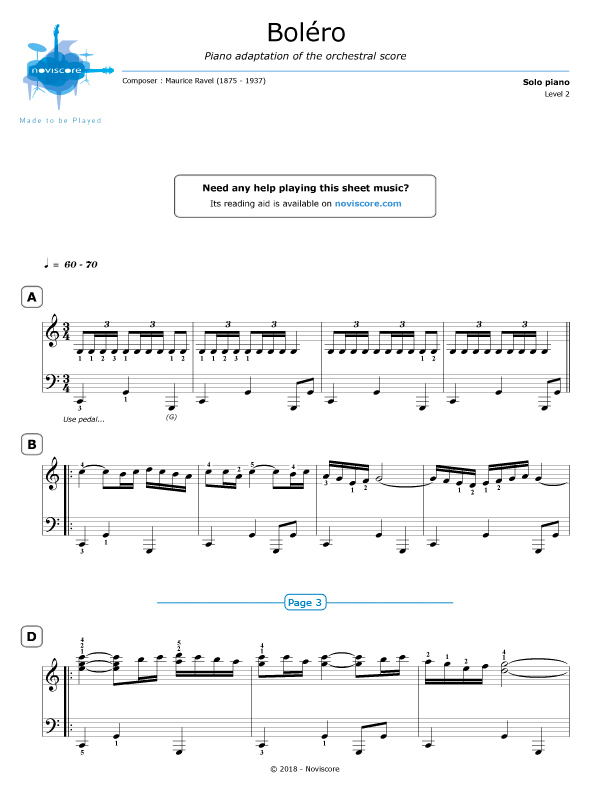 Play our piano sheet music of Ravel's famous "Boléro"... 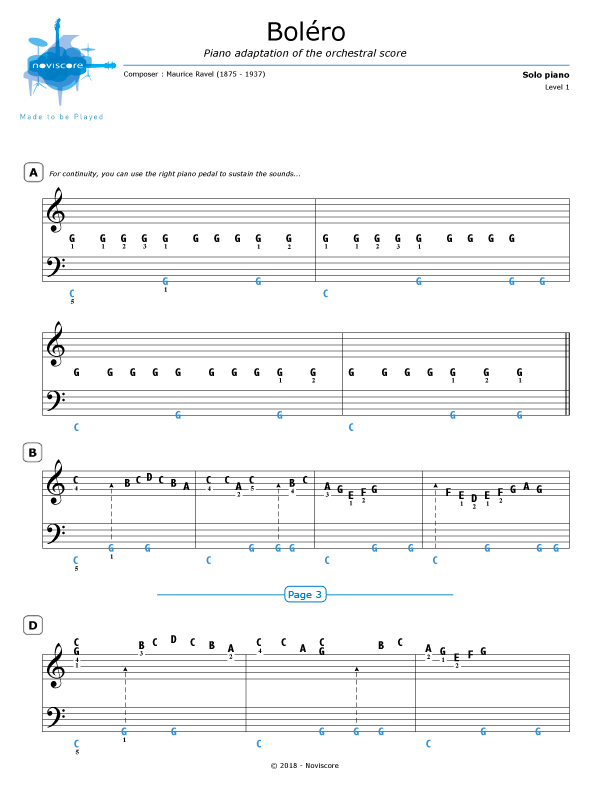 This ballet, written in 1928 by the French composer Maurice Ravel, is one of the most played pieces of classical music in the world. 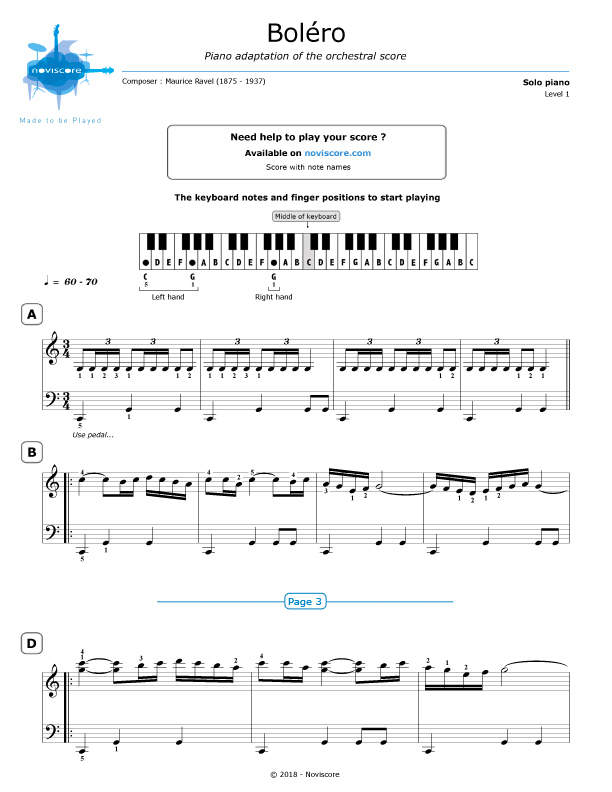 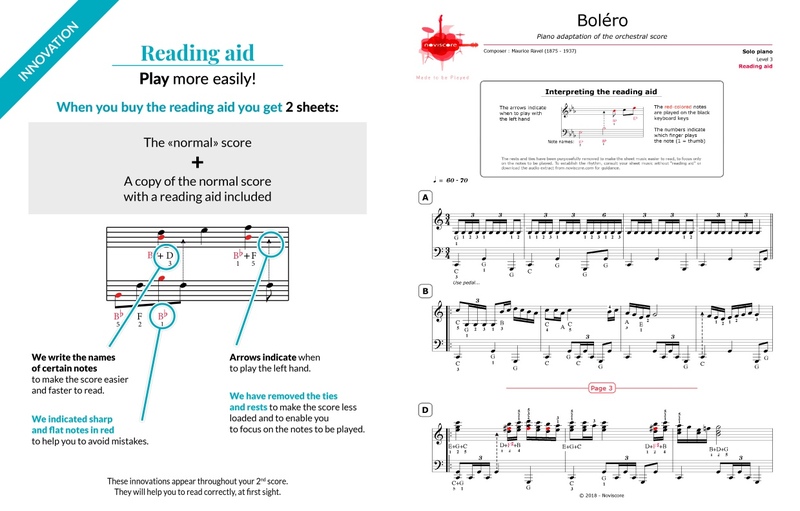 Our piano adaptations of this timeless masterpiece are available in several levels of difficulty including an easy version (Level 1), especially designed for beginners. 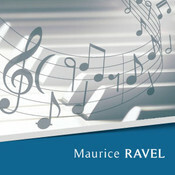 Ravel composed "Boléro" in honour of his friend, the Russian dancer Ida Rubinstein, a true icon of the time, who wanted a ballet with Spanish accents for her latest choreography at the Opera Garnier.